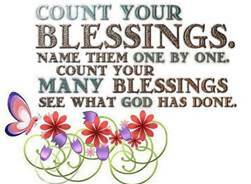 “Count your blessings, name them one by one…see what God has done.” Words of an old hymn hardly ever sung in most churches today. But it should be. We need to be reminded to count our blessings, even if sometimes those blessings are not what the world might consider as being blessed. Why should we count our blessings when we are going through a tough time? I mean, the freezer quit and you’ve got thawed steaks floating in a bath of melted ice cream; you ran out of gas on the way to work and got docked for being late; your husband lost his job; the house is being foreclosed on; and your kid is being bullied at school. Now, you are loaded down with care! Why should you praise the Lord? 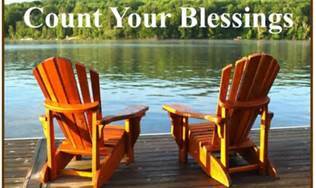 Why count your blessings? Well, in the Word we are told to not to forget His benefits. Also, when you begin to focus on what the Lord has done for you, your attitude changes. You begin to realize that things might not be as bad as you thought, and even if they are, you are not alone. Envy is NOT a pretty thing, and in fact is often mentioned in the Bible along with hate, pride, strife, murder and several other nasty emotions. Looking at what others have, whether they are sinners or have been blessed by God, does nothing for your own outlook. There will always be someone who has more money, is better looking, has smarter kids, has a better job, or a nicer house than you have. If you focus on their blessings instead of your own, you will soon be full of discontent, and the next thing you know you are complaining to God. Not a good move. Forget what others have and focus on your blessings. Has the Lord forgiven your sins? Do you know your final destination? Did you wake up this morning? Can you think? Does God provide for your needs? If all of those are true, then you’ve been blessed. Someone didn’t know the Lord yesterday. They thought that death was the end. That someone didn’t wake up this morning. That someone might have been rich beyond imagination, but now the heirs will fight for every tidbit, while that someone faces an eternity in hell. 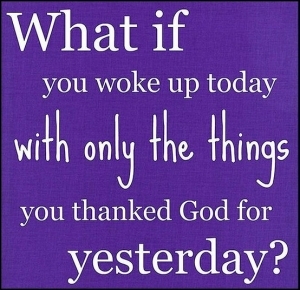 Yeah, I think you have a reason to count your blessings. 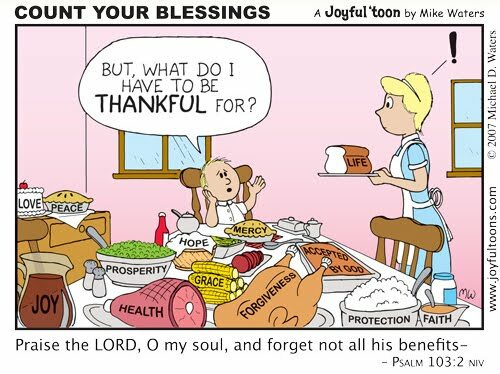 No matter what’s going on, thank the Lord for your blessings. 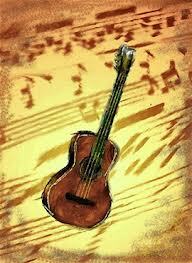 As you bless Him for blessing you, while your circumstance might not change, your attitude will. Like sunlight breaking through the clouds after a storm passes by, everything takes on a sparkle, looking fresh and clean, even smelling better.